Doing something our of nothing, what would it be? 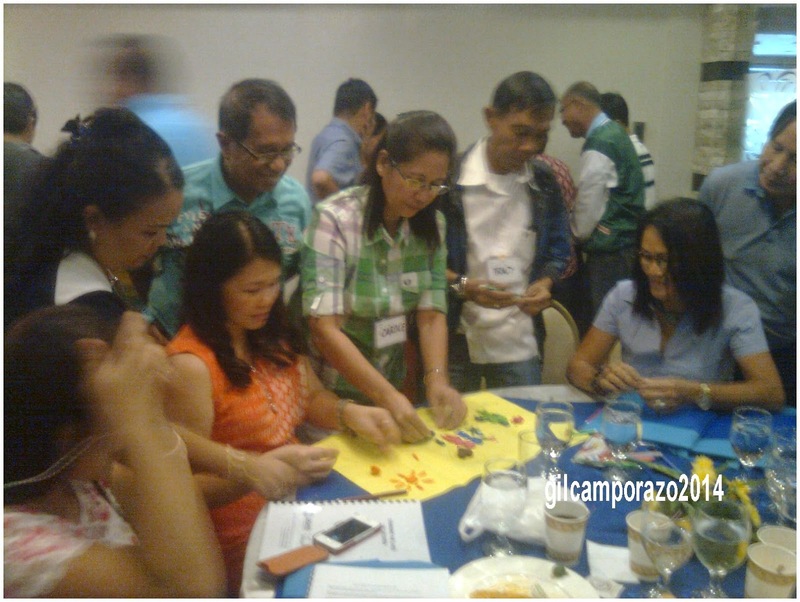 This is a challenge by Mayor Bambi Villarosa, as the discussant/facilitator in the 3-day workshop on school governance to the school principals of the division of La Carlota City. 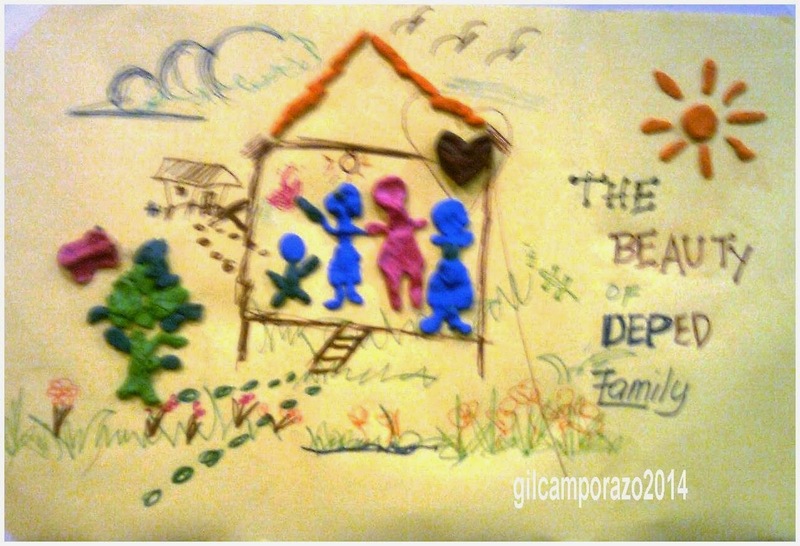 With their collaborative efforts, they molded a colored clay given to them into a meaningful creation to depict the importance of a family in the Department of Education (DepEd). 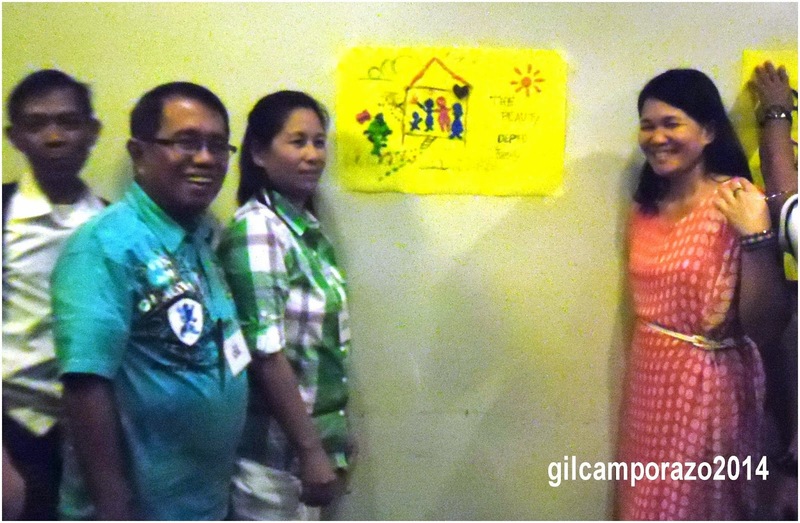 The group is composed of SDS Portia M. Mallorca, ASDS Gladys Amylaine D. Sales, Carole C. Abalajon of Cainaman ES, Tracy Hiceta of Haguimit ES II, Perpetua Morales of Ferlou ES, Leny Nillos of La Carlota South ES II, and this blogger of Balabag ES. This is what they had come up with. A humble house with a mother and a father holding hands together to represent a family, a daughter and a child; a heart to represent a love which empowers them; and from the outside, a butterfly and a tree to relate a symbiotic relationship; and a shining sun to represent a bright future and a hope for everything. On the background, it is further enhanced by a doodle of flowers in a row, three flying birds, clouds, and a another house from the distance. All these things connote a community which the family interacts.